The drugstore game is a method of stacking store sales (especially BOGO deals) with coupons in order to obtain drugstore items for pennies on the dollar, or even for free. 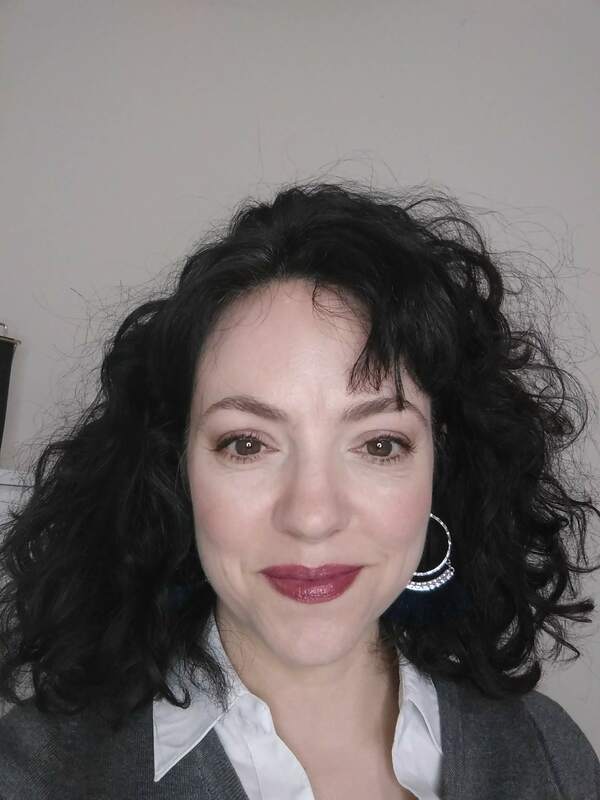 I learned how to do the drugstore game back when I was a single mom getting out of debt, and I did it for a short time. I remember being so excited when I went to CVS one day after carefully planning my “scenarios”. The first time, I got over $100 worth of product for around $30 out of pocket, with another $20 or so of CVS extra care bucks trailing at the end of the receipt (which would then be rolled into more scenarios). I’ve also used knowledge of the drugstore game to occasionally get products I needed for super-low prices, as during my recent spending fast. I am a frugal mama, to be sure. 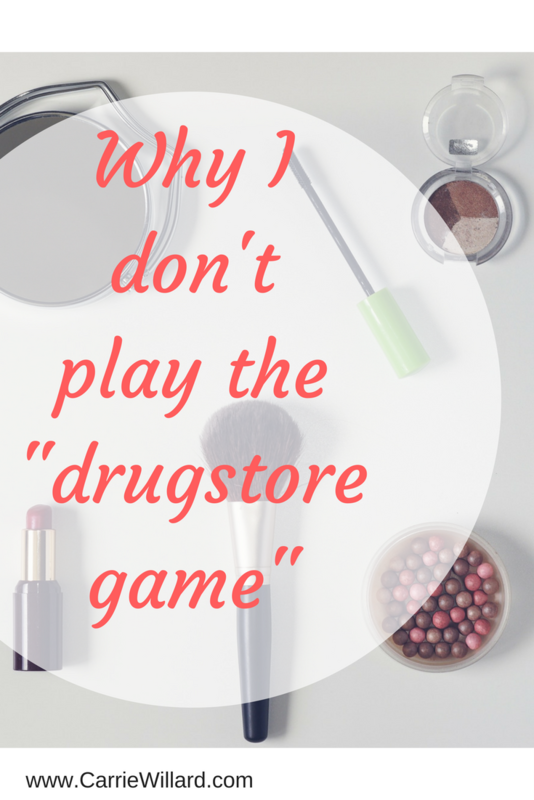 But the drugstore game doesn’t work for me most of the time. I’ll explain why, and what I do instead to save money on household necessities. For the drugstore game to work, you must buy the products that make up deals and stock up – even if you don’t need that item or use it. First, I don’t use a lot of skin care or makeup products. I’m very much a minimalist when it comes to both. My skin care routine is super-simple. And I wear makeup, but very little. See more about frugal natural beauty here. Most of the products I use are as natural as I can afford, and paraben free. CVS and other drugstores carry few of these types of products. (Although I do like Physician’s Formula and they are occasionally part of great deals.) The only other brand I see that I like in drugstores is Burt’s Bees, and there are never great deals on those. I’m super picky about my family’s toothpaste. I like EarthPaste best (which I order each month from Grove, you can also get it on Amazon ). My other favorite tooth care product is OraWellness, reviewed here. I use a Keeper-type, generic menstrual cup so I don’t need to buy sanitary items for myself. Disposable diapers are cheapest bought in bulk from Amazon Subscribe and Save, as are paper towels (if you use them – I prefer microfiber and tea towels in my frugal kitchen) and toilet paper. In other words, there are rarely drugstore game deals that feature products I use. There are a few things I do buy that CVS carries. However, CVS marks those up too high, like paper products (notebooks for the kids and computer paper). That must be where they’re making up the difference for the stuff they can give away for free. And I suppose I could buy band-aids, vinegar and baking soda there, but again – the price of those things is jacked up. CVS very rarely offers Extra Care Bucks or coupons for those kind of basic, generic items. Most of the great deals are on items that I never, ever buy, like soft drinks, candy and junk food. Working scenarios is complicated, time-consuming and stressful when shopping with kids. And I’m always shopping with kids! If one doesn’t do the scenario perfectly, you’ll pay big at the register, because the price of everything in the store is set higher to recoup the losses from the deals they know people will be working. You have to juggle multiple coupons, multiple transactions and buy the right product (not the 6 oz size, the 4 oz size!) to get the deal. When playing the drugstore game, you have to remember to use your extra care bucks/register rewards and coupons before they expire! That’s easier said than done. I have enough to do and remember in my life. Because you’re often literally buying stuff in order to get the coupons to print out, you must continue to play the game to make it work. To quote the now immortalized Sweet Brown, ain’t nobody got time fo dat. Playing the drugstore game adds another errand to my routine. I hate shopping and I hate errands. This is why I order most things online. ALDI, my preferred grocery store, has great prices on shampoo, razors, toilet paper, disposable diapers and the other personal care items they stock. Even if I pay a bit more, not having to go to another store makes it worthwhile. CVS is probably the best-known place to play the drugstore game and where the best deals are had (because of the generous extra care bucks that print out after purchases). To me, the trouble with the CVS game is that it’s similar to the cheap toy and cheap consumer goods situation. We “demand”, via our shopping habits, cheap plastic stuff. So, the manufacturers have to keep cutting corners to give us what we want, which is more cheap plastic stuff. Then we complain when the cheap plastic stuff ends up being what it is: cheap and plastic. It’s not safe, it’s not good for our health or the environment. But, it’s really our fault for wanting so much stuff, so cheap. If I take home $100 worth of stuff from CVS and pay 0.23 for it, I’m feeding into that system. I’m demanding more products that aren’t very good for my health or for the environment. I’m voting with my dollars. I am glad that I learned the drugstore game, because I can use the skill if I need to. I’m also thankful that frugal bloggers have brought attention to the drugstore game, because there are people who may be in a real tight who truly benefit from the information. And I do use deal sites and money back apps from time to time. However, I try to be a conscious consumer and not allow these to influence my buying habits. P.S. If you like this post, would you do me a favor and pin it? Thanks! No offense taken. 🙂 You have very valid points and most I agree with. For instance, I don’t purchase EVERYTHING on the list for ECBs if I know I’m not going to use it or know someone that will use it. My reason is, I have a huge issue with being wasteful. Buying more than is necessary or not even planned for use IS wasteful. It’s not something I want to teach my kids to be. I think many of us were raised this way and we now see the problems it has caused. Thanks for your comments Chele. You know, as a marketer, I can’t help but feel sorry for the CVS people. When a manufacturer puts a coupon out there or a rebate, it’s a marketing tactic – they want you to buy their product so you’ll get hooked on it (hopefully) and keep buying. I might do the same thing when I offer a discount or freebie. My motive is to increase goodwill and make sales, but I can’t give everything away for free or my kids will go hungry. To combine rebates, manufacturer coupons and CVS dollar off coupons and ECBs seems greedy to me. Somewhere along the line, someone is losing money. Getting money back from CVS when you shop there? Doesn’t seem right. I’ve also heard some mommy bloggers brag about how much free stuff they get – stuff they can’t use and donate to others. I fail to see how that is ethical or fair. If I want to donate money or goods, it should come from my pocket, not CVS’s or anyone else’s. Just because someone can figure out how to work a system doesn’t mean they should, imo. Great points, Carrie. I also don’t like to purchase something just because it’s a good price. If you never use that product, then it’s still a waste of money, whether it’s $2 or 0.02. I agree with you about that “gut” feeling. I don’t see a problem with shopping for the items you need with a manufacturer’s coupon and the instore coupon and getting extra care bucks back, but somewhere after that, it just seems to be bordering on greed. Another area that I made a decision not to participate in is getting coupons online through clipping services. I can’t in good conscience ever do this again. I know that they say you are only paying for their time to clip and sort, but that’s a mighty thin line. It may be legal to do it, but is it ethical? It’s only legal because they state that it’s just for their time, but in reality, aren’t most people just plain buying those coupons? I think I’ve heard every opinion on this one, but in the end, it comes back to that “gut” feeling and making sure that I am doing what is pleasing to God. I am not passing judgement here. I had to decide for myself that it isn’t worth getting something for nothing if it means taking the wide road to get there. Great post Carrie. I’ve never been a coupon person for some of the reasons you mention – most of the time the coupons are for things I wouldn’t be buying anyway. Thanks for the olive oil tip too. I’ve never used it on my face although it’s been great on my hands! I think it shows good stewardship of your money to be able to buy things to give to others. Why is it “bad” to get things at the lowest price? Doesn’t that just allow you to buy more to donate? I totally do not get where y’all are coming from! Woe! I really don’t see your point about taking advantage of the system. The system is set up with the idea that the average American won’t use those ECB’s. There is a one month expiration date on them, and if they aren’t used in that time, they’re lost, and you’ve paid for the product that you thought would be free. Don’t make the person, who is trying to make ends meet, into the bad guy. Some people have to play the game with the economy the way it is. I don’t see the large corporations apologizing or feeling badly when you have to spend your paycheck on necessities. I am new at using coupons to save dollars so I will try not to sound like an expert on the topic. However, using coupons and taking advantage of “deals” seems rather wise to me. There are at times products that I would not have purchased without the availability of a coupon, rebate or extra bucks, but unless I am throwing away the product, i.e., wasting, we will use it or know someone who will use it. I do not have a gut feeling that I am taking advantage of the manufacturer or the company. Policies and requirements are clearly stated on the manufacturer’s coupons and in the company policies. As long as I stay within these guidelines, I am doing nothing wrong. I do not buy everything just because and so far have not used the online coupon clipping sites, although, I do not feel it is dishonest in anyway. The one area I do see a problem, at least for me, is that it can become addicting. For me, this is because now I am aware that I can save money on products and it seems more wasteful to me to purchase haphazardly. I do think it is great to use homemade products and maybe someone should start classes to teach how. As far as contributing to the “cheap” products, we had better all stay at home, because it is nearly impossible to purchase anything that is not made outside the USA anymore, and I know we all would like to change that process. However, maybe we are helping the third world countries make a living that would not otherwise be available to them. For me, for now, I will continue to use coupons, rebates, and take advantage of CVS’s bucks and WAG’s RR. I did the CVS thing before college and hardly have to buy any toiletry items for at least a year. That was great! I no longer play the game for most of the reasons you mentioned.